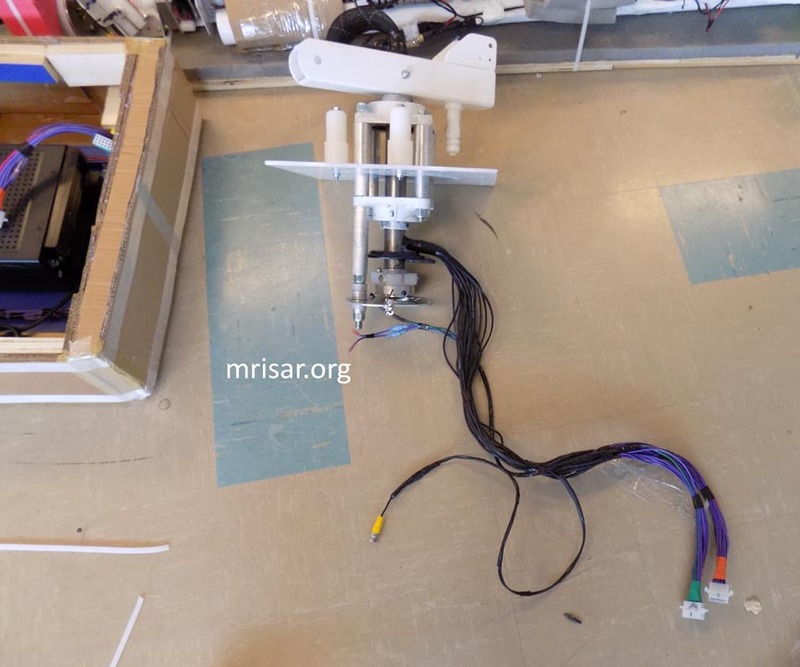 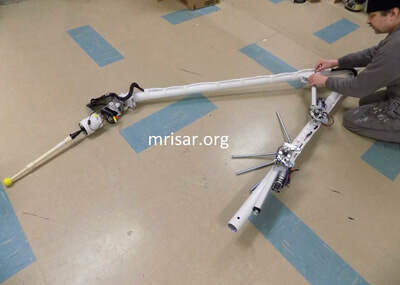 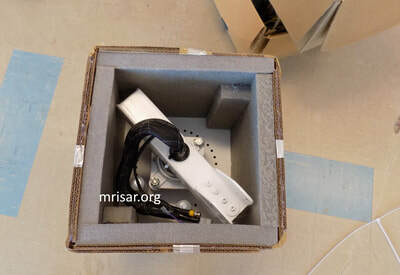 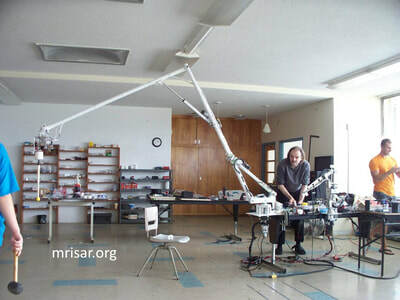 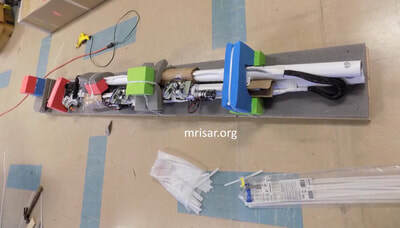 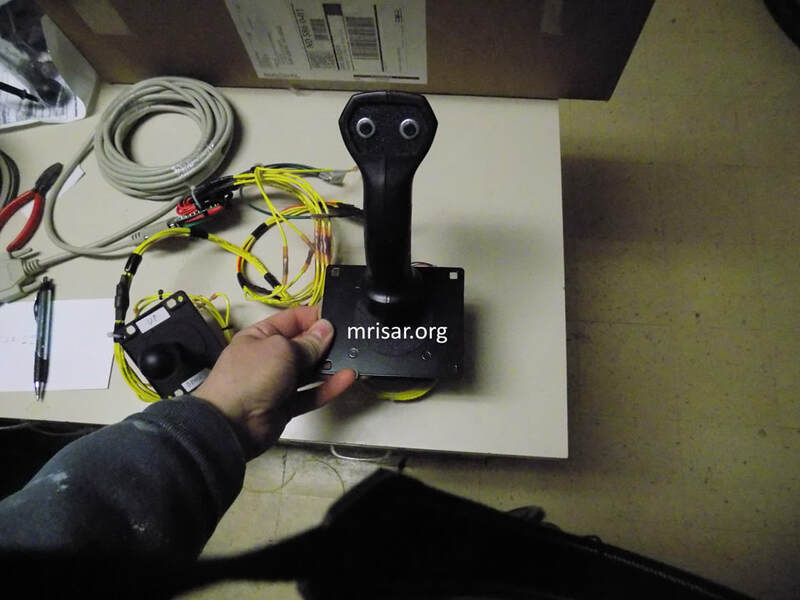 The MRISAR-NASA ISS Space Station Robot Arm is a 17.5 ft long dexterous robotic manipulator arm operated via telepresence and line of sight operation. 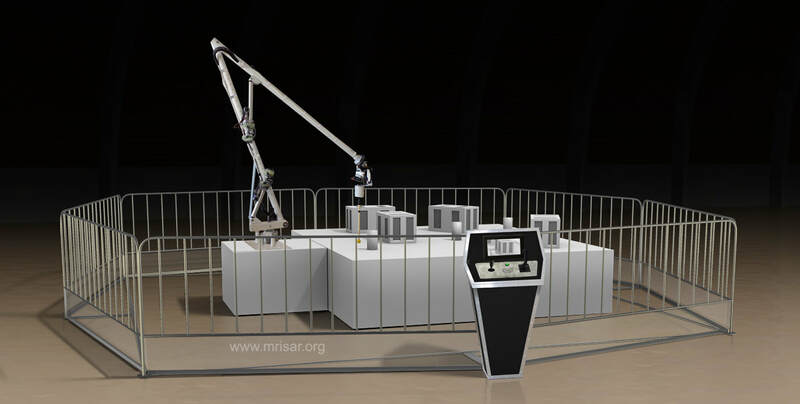 A highly educational and visually stunning exhibit designed to illustrate remote handling applications for robotics which are used by industry, aerospace and commercial establishments to extend human capabilities in hazardous situations. The exhibit features an arm mounted color camera with pan and tilt and a miniature video monitor placed at the controls. 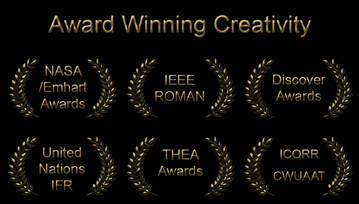 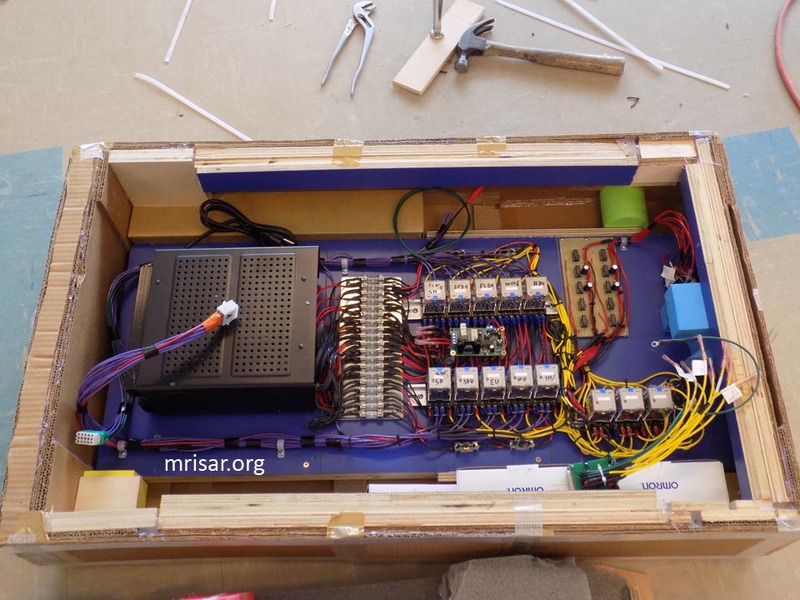 The control panel also features a message repeater to further convey educational content. The arm has pressure sensitive and end of travel limits and support logic, that can adapt instantly to any arrangement of objects in its path. 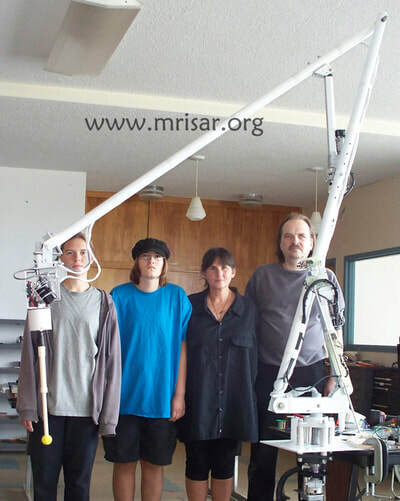 The arm is usable by any age range of visitor. 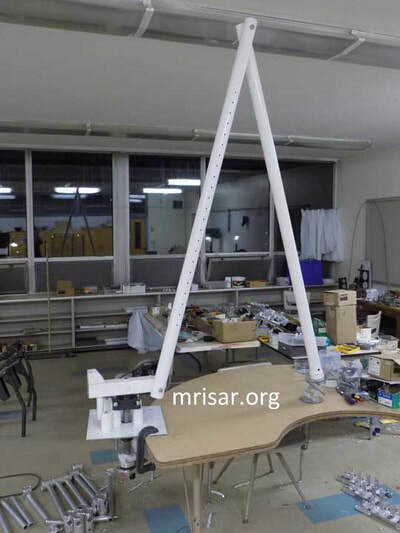 This exhibit kit includes an electronic-electromechanical robot arm, support electronics, visual support materials, maintenance information and schedule, power supply and control panel. 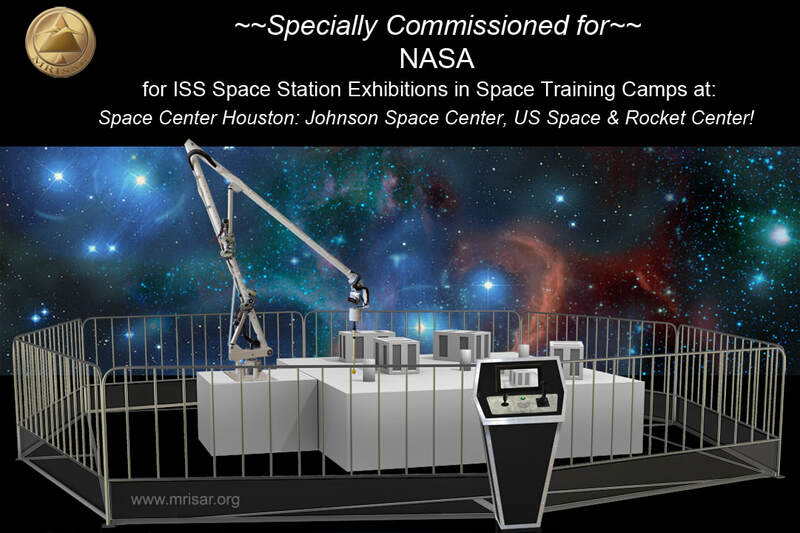 Available in the original form commissioned by NASA (touch based end effector) or (with a hand mounted for moving of objects). 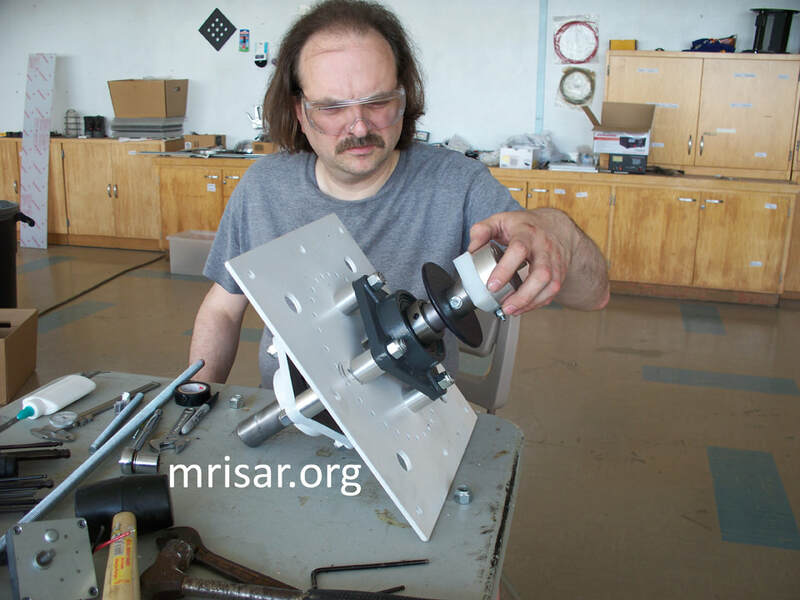 ​Below MRISAR's R&D Team members Autumn, John, Aurora and Victoria Siegel, designing and fabricating the first two MRISAR's NASA ISS Space Station Robot Arms.